SOCHI, Russia -- An hour before the puck dropped for their final preliminary round game against the United States, several players on the Slovenian men's hockey team idly kicked a soccer ball back and forth at the entrance to Shayba Arena. They were jovial, friendly and a little goofy; when the ball went astray to an Olympic volunteer standing nearby who clearly had no idea what to do with a soccer ball, one player cartoonishly dove out of her way, as if she had the power to kill him with it. They seemed like cool guys. Most of all, though: They looked young. So young, so fragile … so small. I fretted for what awaited them. A day after one of the most hotly contested, tension-filled games in United States Olympic hockey history, those Slovenian boys -- who, it should be said, have won as many games this tournament as Jaromir Jagr has -- were the ideal after-dinner snack for Team USA that probably deserved one more day off than it had. The U.S. stomped Slovenia 5-1 to officially win Group A and clinch a bye to the quarterfinals on Wednesday. The U.S. team, still exhausted -- an affliction shared with everyone who had been in the building Saturday -- did exactly as much as they needed to, and little more. Those Slovenian kids had some pluck, though, and by the midway point of the game, they even had as many shots on goal as the U.S. did. (You had to be proud of them: The entire country of Slovenia only has 148 registered hockey players. Also, it's weird that they make their hockey players register in Slovenia.) But after Team USA burnt off a power play, the Americans took over, ripping off nine unanswered shots in the period, two of which reached the back of the net. The first of those was an easy smash from Phil Kessel, his third of the contest, the first U.S. hat trick notched in these Olympics. 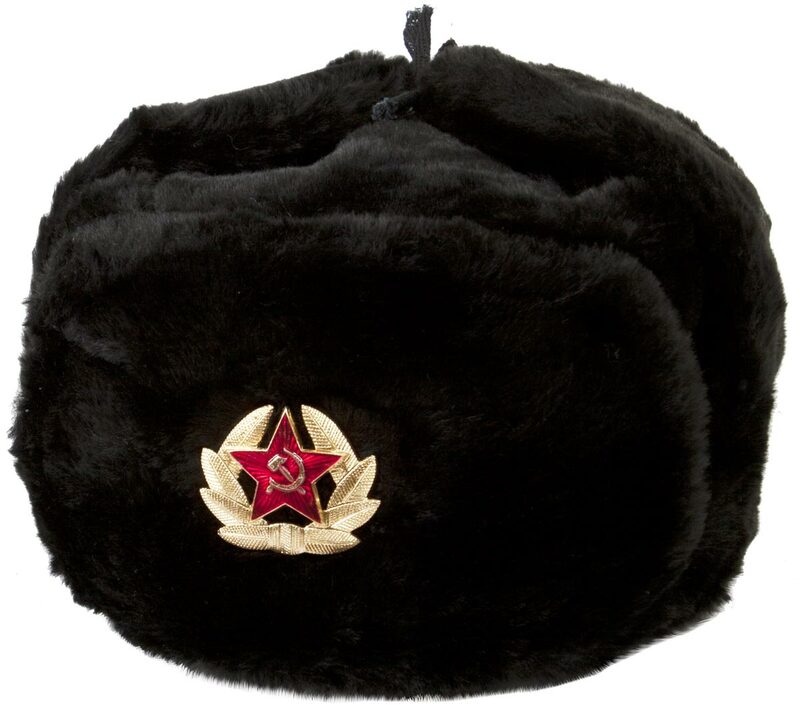 Alas, no one threw any ushankas on to the ice, which was probably for the best; those things are expensive, and it's starting to (finally) get colder out in Sochi. Kessel's second goal was impressive in a lackadaisical, oh-why-not? way; he received a nifty, casual pass from Joe Pavelski and just flipped it in with the fervor of a man placing bread in a toaster. I think he might have yawned. That one came less than five minutes into the game, which led to the general malaise; this one felt over before most fans had made it through security. Yes, it was a mostly uninspired game for the U.S., and who could blame them? The aftereffects of Saturday's epic shootout victory were still being felt throughout these Olympics, not least of which by the Russians, who stumbled throughout most of their game with Slovakia next door, ending regulation 0-0 before stealing an extra point in a shootout. (And thus eliminating any possibility of facing the United States in the quarters, the last thing either team would want.) Russian fans were still sore about the Unmoored Net Of Destiny call that cost them a regular-time victory, and like any good aggrieved fan, they channeled their frustration into Internet memes. Shootout hero T.J. Oshie, a meme-friendly fellow himself, still looked a little dazed during his brief time on the ice; he said after Saturday's game that he still felt "tingly" a couple of hours later. That sort of game leaves a hangover for everyone in its wake. Thus: USA-Slovenia was officially an Olympic hockey game, but only officially; in reality, it was just an open skate that happened to be televised to billions of people. Even Slovenia seemed sort of honored to be there; at one point, Team USA's Ryan Callahan shouldered a Slovenian player next to the net, and rather than retaliate, the Slovenian just grinned and took a step back. Sometimes it is an honor to be noticed by gods, even if they're just shoving you. The Slovenians were urged on by yet another partisan, if small, crowd; if there's a country the Russian fans here would rather see lose than the United States, they're probably already at war with them. (The math checks out; a Levada Center poll last year showed that 38 percent of Russians consider the USA Russia's biggest enemy, barely beating out Georgia at 33 percent and Latvia at 21 percent. America No. 1!) The occasional USA! USA! chant was quickly drowned out by "SLO-VAIN-EEE-YA!" which has at least one more syllable than your average arena chant. By the third period, though, no one was much bothering. The crowd was actually smaller than it was at Thursday's sleepy American win over Slovakia, though they might have been happier than those Russian fans over at Bolshoy, watching their team's much angrier hangover. That said: The biggest noise of the day came when Slovenia sneaked on the board with 17.6 left, on a Marcel Rodman (no relation to Dennis) slapshot. The crowd roared, and the Slovenian coach smiled, and it made the whole afternoon feel worth it. On the whole, it was a pleasant little day of relaxation for the United States team; they even wore schnazzy throwback uniforms for the occasion. They'll have two days off -- if you don't count this one -- before they play the winner of a quarterfinal matchup on Wednesday. It's a bit up in the air who that might be. Barring a tie in tonight's Finland-Canada game, the U.S. will be the No. 3 seed; if those teams reach a shootout, the U.S. will be No. 2. No matter whom the United States plays in the quarters on Wednesday, it'll be a lot tougher matchup than those affable Slovenians. Yesterday's madness was followed with today's calming chaser. Everybody needed it. But it's all madness from here on out.